Just slip on the amazing Ripple Slice Cone and you'll be shooting out spectacular crinkly cuts in seconds. Use them to dress up a salad or casserole. Create beautiful hors d'oeuvre trays. Even make your own delicious, homemade ripple chips, fast and easy. You've never seen anything like it! 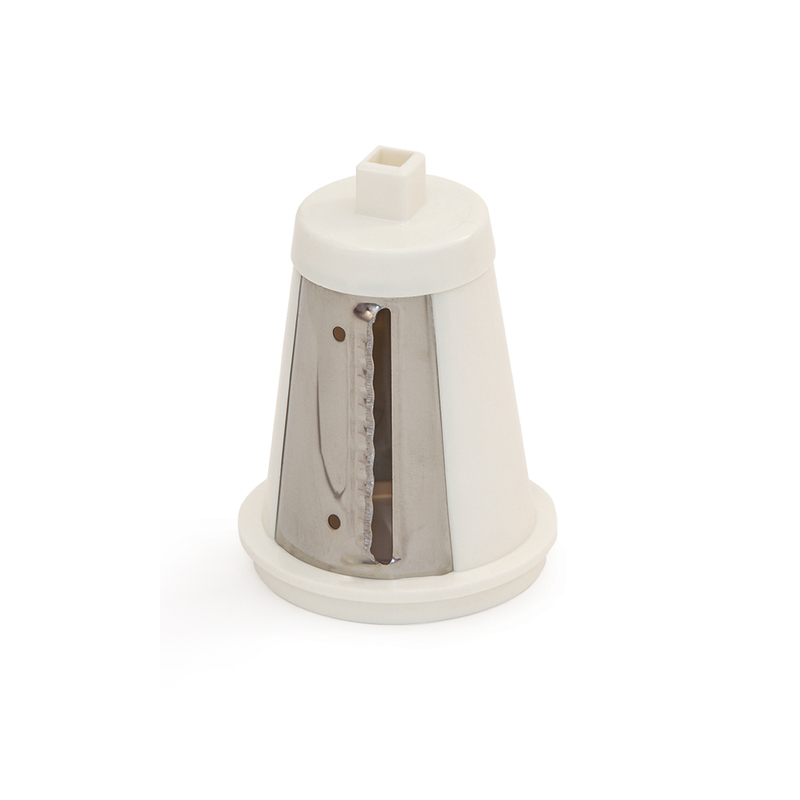 For use with the Original and Mixer Too SaladShooter® electric slicer/shredder. IMPORTANT: Be sure you are ordering the proper part. This part fits only units with model numbers beginning with 02910 and 02980.